Supplier & Manufacturer of Garden Wall. Our product range also comprises of Office Building, Compound Wall and Godown Wall. We Provide All India Level Service. We are having Manufacturing Unit in Ahmedabad, Nasik, Aurangabad, Ahmad Nagar, Nanded, Nagpur, Pune, Solapur, Raipur, Hyderabad, Indore, Bhopal, Delhi. 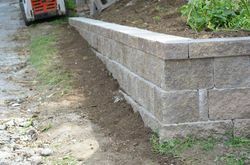 Our company has mastered the art of offering Cement Block Garden Wall to our clients. 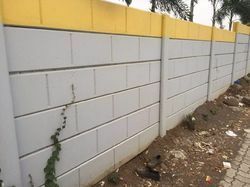 We are counted among the well-reputed firm for providing Folding Boundary Wall to our esteemed customers. Wall panels not only make the walls look lavish, they also add an extravagant look to the garden and boundary walls. 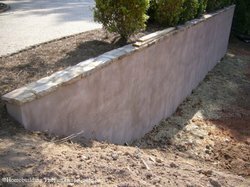 With the aid of our procuring agents, we have been able to bring the long-lasting array of Cement garden Walls.